“As a proud New England brand, we couldn’t be happier to partner with the beloved team." A smiling pink whale might start appearing in Foxborough more often. 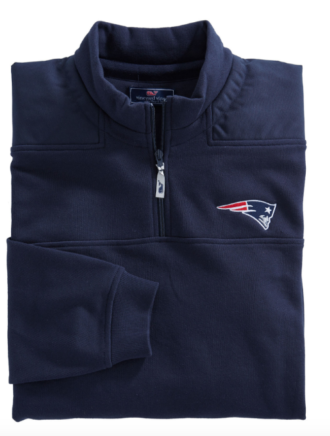 Lifestyle apparel brand Vineyard Vines announced a partnership with the Patriots and Gillette Stadium Tuesday. 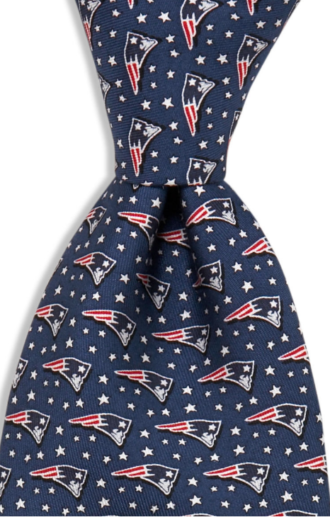 The company, founded 20 years ago on Martha’s Vineyard, will be the official style of the five-time Super Bowl champions as well as their home field. 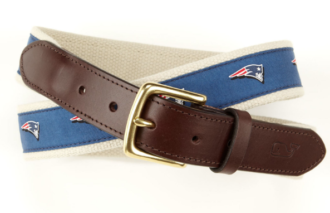 As part of the partnership, Vineyard Vines has launched a collection of Patriots-themed clothing and accessories, including a logo-clad tie ($85), belt ($58), and iconic navy blue Shep Shirt ($115). All items are available for purchase online or at the pop-up shop at Patriots Place, which opened Oct. 13. Starting in 2019, products will be available for purchase via kiosks in premium seating areas of Gillette Stadium. Vineyard Vines will also soon have digital LED signage throughout the stadium bowl. In April, Vineyard Vines was named the official style of the Red Sox.